The financial center of the Philippines, the Makati City, celebrates its annual Caracol Festival during the last week of February every year. Unlike any other festivals in the country that has long been formulated, Caracol festival of Makati City has just recently declared as the City’s official festival. Makati is the house of the countries multinational and local corporations. There are a lot of the country’s major banks, department stores and foreign embassies lays at the streets of Makati. It is also the biggest Philippine Stock Exchange trading center. Makati is also known for its agricultural and entertainment industry. According to history, Governor General of the Philippines Miguel Lopez de Legaspi during the Spanish colonial period had explored the swamps of the Pasig River once. He wanted to know the name of the place so he asked a native. But due to language barrier the native misunderstood his question to be in regards of the tide, so the native answered him “Makati, kumakati na” which means “Ebbing, the tide is ebbing.” From then on, Legaspi addresses the area as Makati. 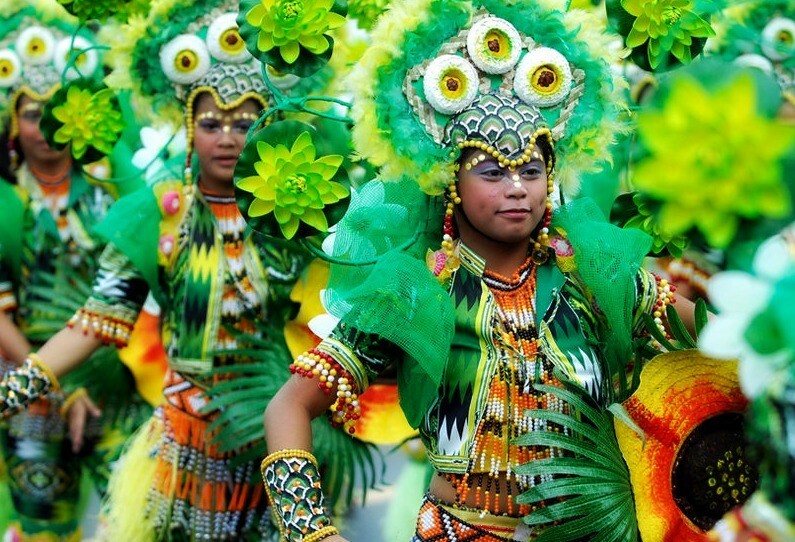 Distinct from other Philippine Festivals, the Caracol festival of Makati is in honor to Mother Nature’s preservation. It was only conceived in the year 1989 during the pursuit of the Department of Tourism of its Island Fiestas program. And on January 21, 1991, the local government of Makati declared Caracol Festival as the City’s official festival. Caracol is a Spanish word that means snail. It becomes the symbolic representation of the festival as Makati people views the shell of the snail as a protection from the misfortunes that life brings. The idea that depicts the snails shell was adapted to the annual festival of the city. The Caracol festival is held through a tribal dance competition usually composed of students of different school divisions and levels in Makati. Each usually has over 30 to 50 number of participants. Having the theme in-lined with nature, the participants are dressed in colorful flowers, plants, exotic animals, aquatic creatures, forest animals and other ornaments and organisms connected to nature. They are judge in terms of their costumes, choreography, and their overall performance. The high light of the event is the street dance competition and the best in costume competition among the participants. This festival shows that Filipinos aside from its religious inclination has a way to celebrate and be thankful of the abundance of nature. Beside from being a highly developed in terms of its infrastructural and modernized facilities of Makati they haven’t missed a chance to appreciate still the beauty of nature, thus they pursue and promotes its preservation through their yearly festival. Another colorful and extravagant festival we all have to be proud of. Let us continue to promote the preservation of Mother Nature, by supporting Caracol festival.